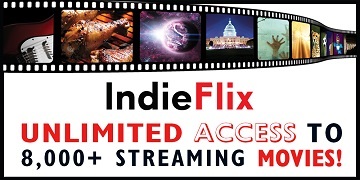 Did you know that if you are an Idea Store member you have free access to pop culture favourites, box office hits, award-winning feature films, documentaries, and shorts with Indieflix? View thousands of titles from around the world, including the best from classic TV, horror, comedy and film festival darlings. To access this exciting range of movies, just visit our RBdigital site and register. If you are registered with the Idea Store Magazine Service, you can use the same login credentials.